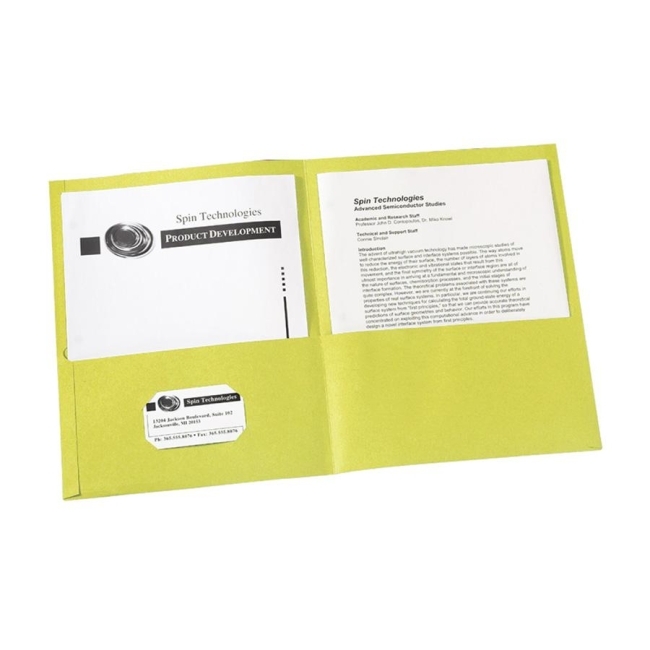 Two-pocket folders with no fasteners feature two pockets to hold loose paper measuring up to 8-1/2" x 11". Design offers an embossed title panel on the front cover. Each folder has a die-cut business card holder on the inside left pocket.